Cricket T20 wordcup tournament on the edge so it is right time to publish best cricket live score apps used for smartphone. You can download and use top 4 apps for your mobile and smartphone. ICC Cricket is the official app of the International Cricket Council. This exclusive apps offers latest news, live scores, galleries, and team information. You can get the highlights of matchs and post-match press conference. It has only Android app so far. This is the interesting Apps from BCCI. It offers live score cards, match analysis, News, Stats, and exclusive interviews. Built with Twitter integration to check what’s trending in the world. One of the best Cricket Apps I’m following from couple of years is the ESPNcricinfo app. 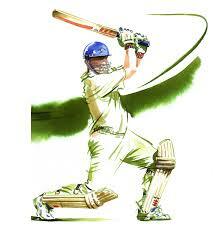 It provides live score cards for Cricket matches from around the world. You can get the latest cricket news, features and editorial content. Live tile also supported.